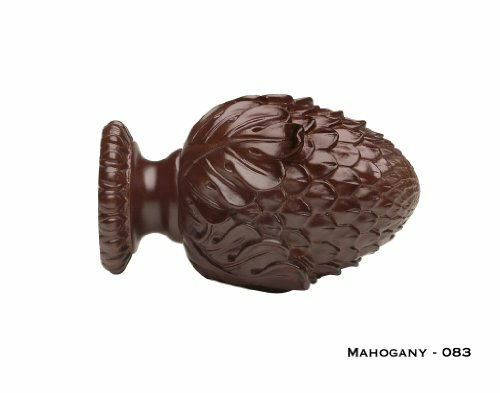 Oakleaf Cone Finials - Kirsch Wood Trends - 1 3/8". Decorative resin finials work with 1 3/8" diameter poles and are new, from Kirsch. Coordinates with Kirsch 1 3/8" Wood Trends brackets, poles & rings. There is a 20% re-stocking fee for this item.